I first heard the song that’s currently playing by Rage Against the Machine when I was about 14 years old. I was immediately taken by its genre bending sonics, defying categorization even after entering into the arena of mainstream music. Is it hip hop? Is it hard rock? Is it heavy metal? Is it punk rock? The song doesn’t even attempt to assume a permitted position or identity within the discursive regimes of power established and maintained by dominant media: radio, MTV, Billboard, etc. Instead, it queers the process of categorization itself to emerge as a new way of creating/playing music in a world overdetermined by labels fitted onto artists by corporate entities bent on commodifying their art. de la Rocha emphasizes the Eurocentric bourgeois outlook of public education in the west in various portions of the song, but what should stand out here to advocates of critical pedagogy is his critique of what Paulo Freire called the “Banking Model” of education, where the belief is that an instructor’s job is to transmit knowledge to students as if he/she/they were depositing money into a bank. In this fashion students remain passive receptors of information. Their opinions, thoughts, and beliefs are not valued, questioned, or examined. The student’s ideas are not even allowed much room for articulation in the classroom, and the instructor’s opinions, thoughts, and beliefs are made master over the site of knowledge that is constructed. It is my hope that the activities and writing prompts I’ve posed on this page not only allow for the development of higher order thinking skills, according to Bloom, on the part of our students, but act more as provocations than prescriptions for critical thinking. With this in mind, I am always open to student revisions of writing prompts in my classrooms. On top of this, I always allow students to reject the writing prompts I’ve posed altogether in favor of writing their own, which are then confirmed through a dialogic process between myself and the student before the student begins his/her/their writing project. While I have written a lot of prompts, there is no way that they can all be used in one course. I merely want to provide options to both students and instructors. Depending on the class, I might place three of the prompts here on an assignment sheet, allowing a fourth spot for students to write in their own prompts if desired. What I’m after here is flexibility, which I feel is very important with regard to how we think about constructing our syllabi and assignments. All of the writing prompts on this page are meant to produce thesis driven, argumentative essays. This in no way means that students aren’t welcome to blend rhetorical modes in the drafting of such essays, bringing in narrative and descriptive components to create meaning and to augment/support their essays’ theses. That said, these prompts have been written with departmental expectations for course curriculum in mind, and in my personal experience, writing programs, whether housed within English departments or not, still privilege argumentation over other modes of expression, critique, and knowledge production. Therefore, these prompts should work to satisfy curricular expectations while allowing students some room to dictate their relationship with the text(s) assigned. Some of the prompts are more geared towards performing close reading and developing interpretive frameworks, while others require a research component. The types of responses to prompts you expect should be clearly indicated on whatever assignment sheets you produce, including asking students to ground their answers to prompts with direct evidence from the novel, from other assigned course readings, and from outside research (where applicable). After reading “A Black Feminist Statement” by the Combahee River Collective (CRC), do you feel that the novel provides the material for the type of intersectional analysis of race, social class, and gender that CRC calls for in their statement? If so, why? If not, why not? After having read both “The Uses of Anger” and “The Transformation of Silence into Action” by Audre Lorde, how do you believe Lorde would advise Starr to respond to Khalil’s death? Would Lorde’s advice be similar to or different from that of Ms. Ofrah? What about Starr’s mother? Why? After having read “strongblackwoman” from When Chickenheads Come Home to Roost: A Hip Hop Feminist Breaks It Down by Joan Morgan, does Starr conform to the traditional definition of an SBW that Morgan is critiquing? Or, does she represent the imperfection, humanity, and complexity of character for which Morgan feels Black women should strive? After reading “Narrative Significations of Contemporary Black Girlhood” by Wanda Brooks et al., which of the four identity categories the authors present (e.g. intellectual, physical, kinship, sexual) do you feel best apply to Starr’s character? Why do these categories align with Starr more than others? If you find all four categories to be applicable, please make your case. After reading “What Should Colleges Teach Part 3” by Stanley Fish and “Should Writers Use They Own English” by Vershawn Ashanti Young, consider how Starr’s use of language and rhetoric might factor into this debate. Using Starr as a case study, which of the two arguments for what should be taught in a College Writing classroom holds up? Which is proved to be faulty? After reading some of the passages on “double consciousness” from The Souls of Black Folk by W.E.B. Du Bois, do you feel that Du Bois theory can be applied to Starr’s character? If so, how? If not, why not? After reading “Small Change” by Malcolm Gladwell and “Black Lives Matter is Killing it On Twitter” by Brandon E. Patterson, discuss the strengths and limitations of political organizing via social media both in the novel and in reality. Consider Starr’s Tumblr campaign against the movement organizing of Ms. Ofrah and the Cedar Grove King Lords on the ground in the community. What do you see as the most effective organizing strategy? Should movement organizers adopt one over the other? Or, might some combination of both be best with regard to keeping masses of people informed and for raising political consciousness? James Baldwin once said, “Being white means never having to think about it.” By “it,” Baldwin meant that white people never have to think about race. Consider how the white characters in the novel interact with Starr, even after learning of her friend Khalil’s death. Do you see the “white blind spot” Baldwin referred to playing out in the novel? If so, how? If not, how might Thomas’ be complicating Baldwin’s statement? In “Some Thoughts On Mercy,” Ross Gay raises the following questions about how to address systemic racism in the United States: "But what if we acknowledged those fears, regardless of how awful or shameful they are? What if we acknowledged this country’s terrible and ongoing history of imagining its own citizens—indigenous, black, Japanese American, Arab American, Latino—as monsters? What if we acknowledged the drug war, and the resulting mass incarceration of African Americans, and the myriad intermediate crimes against citizens and communities as a product of our fears? And what if we thereby had to reevaluate our sense of justice and the laws and procedures and beliefs that constitute it? What if we honestly assessed what we have come to believe about ourselves and each other, and how those beliefs shape our lives?And what if we did it with generosity and forgiveness? What if we did it with mercy?" In what way(s) does the novel answer Gay’s call? Does the novel fall short in any way(s)? After reading “The Whiting of Euro-Americans: A Divide and Conquer Strategy” by Thandeka, as well as spending some time perusing content at LovingDay (http://www.lovingday.org/), consider how relationships between people of different racial backgrounds are depicted in the novel. Are the representations of these relationships working to reify, to complicate, or to transcend the ideologies of racial division established through the race and miscegenation laws discussed by Thandeka and at LovingDay? Starr’s father, Maverick, and the shop owner next door, Mr. Lewis could be said to represent two competing political ideologies coming out of the civil rights movement. Through research and close reading, identify and place each figure in the camp in which you think they belong. In what ways are each of these ideologies represented through the characters’ actions and statements in the novel? When angered at her boyfriend Chris, Starr contemplates how to respond through a comparison of music from different genres and time periods: “I’ll Beyoncé him. Not as powerful as a nineties R&B breakup son, but stronger than a Taylor Swift” (79). Perform some research on nineties R&B produced by Black female artists and on Black feminist writers of the time period. In what ways might these songs reflect the politics of Black femininity in that historical moment? What songs/artists best speak to these politics? Perform some research on the representation of working-class communities of color in the mainstream media. Is the depiction of Garden Heights and its community in the novel aligned with how popular narratives in the media shape outsiders’ perceptions of these communities? Or, is it pushing back against these dominant narratives to ask readers with no personal experience in these neighborhoods to reimagine the relationships between the people that inhabit these spaces? Thomas’ novel seems to position poverty and a lack of opportunities as the main motivators for young Black men to enter into a life of crime and gang-related activity. Perform some research on the potential relationship between poverty and criminal activity as well as what has been called the school-to-prison pipeline. Does the novel accurately represent reality based on the data you’ve found? If so, what solution might you pose to address this problem? If not, what’s the real issue according to your findings? What might the novel not be addressing? On page 169, Starr’s father asks her to look past an analysis of criminal activity in their neighborhood that places blame solely on the drug dealers themselves to perform a more systemic reading of how the environment that maintains this informal economy was constructed: “How did the drugs even get in our neighborhood?” Through research, answer Big Mav’s question. In other words, if King is the big kingpin of all drug-related activity in Garden Heights, who might you argue supplies King? Try to determine where these drugs are coming from and provide an outline of the commodity chain from producer(s) to distributer(s) to user(s) hitting every stop along the way. How might the map you provide potentially change a reader’s perception of the drug game? Do some research on The Violent Crime Control and Law Enforcement Act of 1994 and its relationship to the term “super predator” used by Hillary Clinton in 1996. How might these politics be reflected in how Khalil is represented in the media as well as how both Khalil and Starr are depicted in the officer who shot Khalil’s rendition of what happened the night of Khalil’s death during his interview? The low-stakes classroom activities proposed below don’t have anything to do with the scaffolding of how students might engage with the essay prompts above. Instead, they are again more concerned with bringing some of the novel’s politics to the surface. In this regard, they might be employed in classes leading up to the introduction of the novel in anticipation of the types of discussions/activities that might take place around the text itself. If you have any questions about, or suggestions for, scaffolding, please feel free to contact me via my bio page. Note: When creating groups, ask students to elect members to perform the following roles: group manager (responsible for keeping group on task), note-taker (neatly puts together the analysis the group is going to present), presenter(s) (presents the group’s work to the rest of the class). If your groups are large, then more than one student can perform each role. Split students into groups of four or five. Task each group with evaluating Tupac’s explanation of T.H.U.G. L.I.F.E. 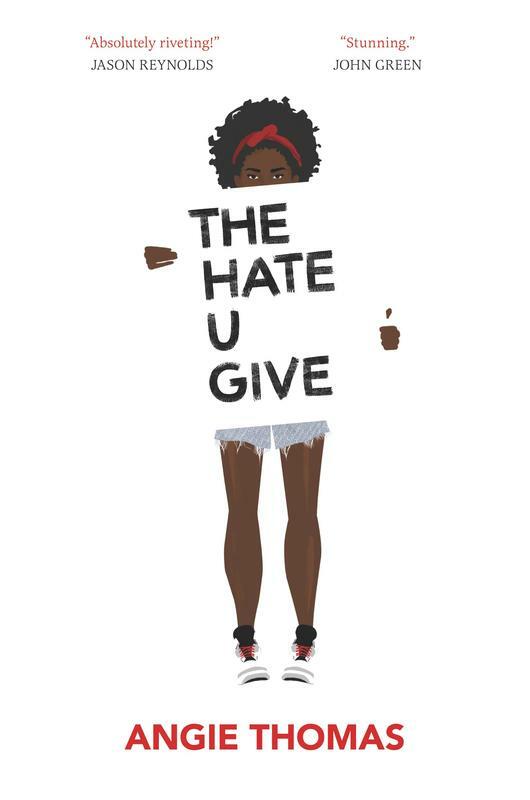 (The Hate U Give Little Infants Fucks Everybody), which is central to the novel. First, ask students to concretize the abstract noun “hate.” How might the hate that Tupac refers to be manifested in material forms in the United States? Second, ask students to determine how the forms of “hate” identified in the first activity impact everyone. How might this hatred be distributed differently across social class, racial, and gendered lines? Third, ask students to consider some potential solutions to eliminate these materialized forms of hate. In other words, what do they think should be done to remedy the problem(s)? After completing this task, students should present both their analyses of Tupac’s statement and their calls-to-action to the class. The work that students produce here may later be used to frame analyses of the novel or to produce video PSAs and/or websites where they publicize the issues they’ve identified and attempt to persuade others to join their cause. Split the class into four to five groups. Task each group with comparing and contrasting the Black Panther Party’s (BPP) Ten-Point Program with The Movement for Black Lives (MBL) Policy Platform. Since the latter platform is much longer and complex than that of BPP’s ten points, you might ask groups to select specific sections with which to work. This will also hopefully promote less overlap with regard to group reports. Group presentations should focus on where the two platforms align and where they depart from one another. With these similarities and differences in mind, can it be argued that The MBL is operating within the legacy of BPP? If so, how? If not, why not? After this, whether during the same class or the next, task the groups with creating their own Ten-Point Program either to be employed in their community or on campus. In the construction of their program, students may adopt some of the policies or points proposed by BPP and/or MBL, as long as they can provide a clear rationale for why they should be adopted within the specific context in which they’re working. Once completed, students should tape their Ten-Point Programs to a classroom wall so the entire class can review each set of demands. As students make their way around the room, ask them to try to generate at least one question each in response to each of the other groups’ programs. These questions can either highlight points of confusion or contention, as each group should be able to explain and/or to argue for their policy positions. Then, have presenters from each group present their Ten-Point Programs to the class and answer questions. Finally, move into open class discussion about how these programs might be implemented. Aid students in considering who they might contact to make their voices heard and/or how they might mobilize other students or members of their community to advocate on behalf of their platform. While it doesn’t have to, this activity could lead to the construction of video PSAs and/or websites, where students attempt to inform their specific audience and persuade them to join their cause. The video on the right is of the Prophets of Rage--a new super-group made up of former members of Rage Against the Machine, Chuck D from Public Enemy, and B=Real of Cyprus Hill--performing the song "Take the Power Back" on January 20th, 2017 at the Teregram Ballroom in downtown Los Angeles to protest Donald Trump's inauguration to the office of the presidency. By posting this video here, I do not mean to make an anti-Trump statement, as that is not the purpose of this page; instead, I hope to demonstrate the life of a song that so motivated me as a youth and appears still to be performing the political function of a rallying cry in the way that it is being used to mobilize the youth of today.